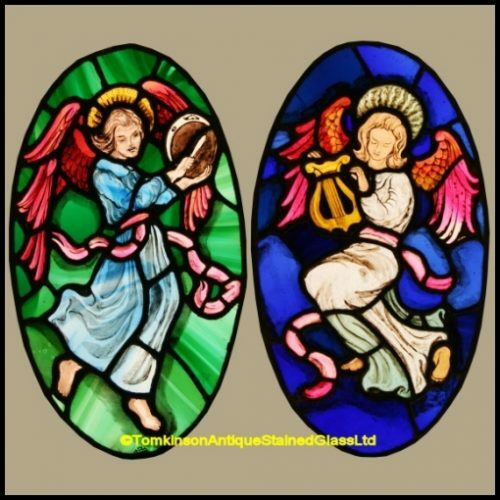 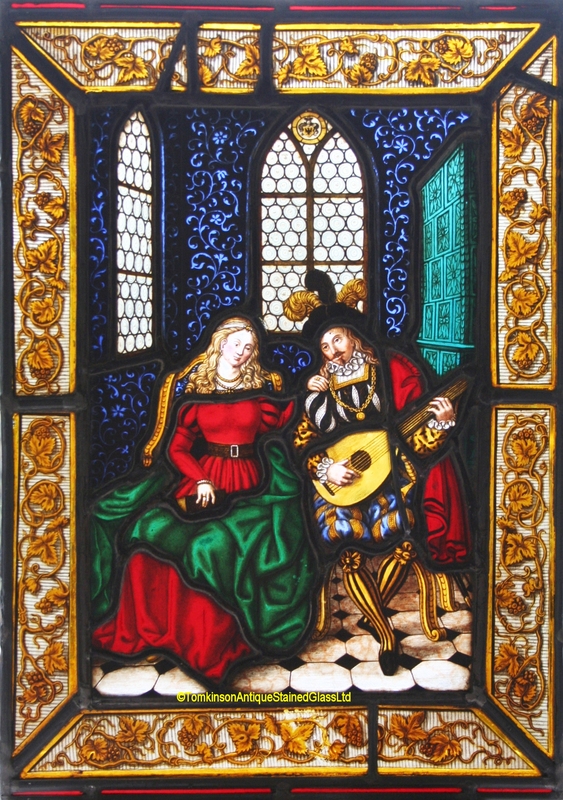 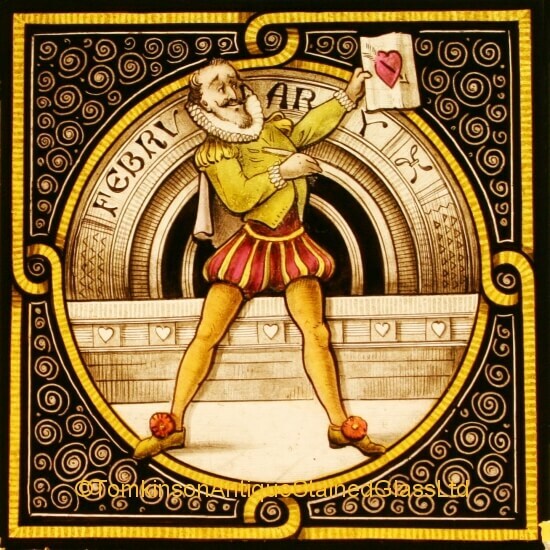 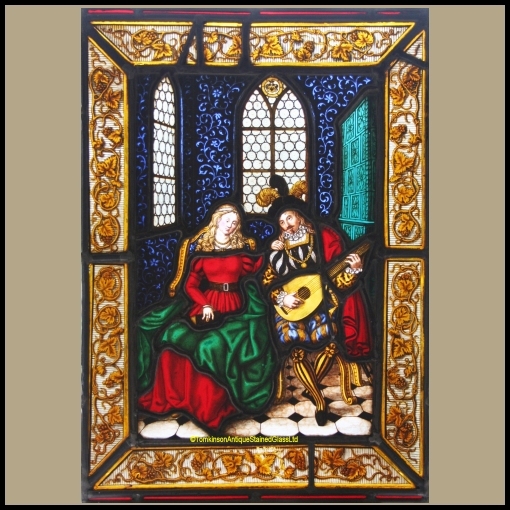 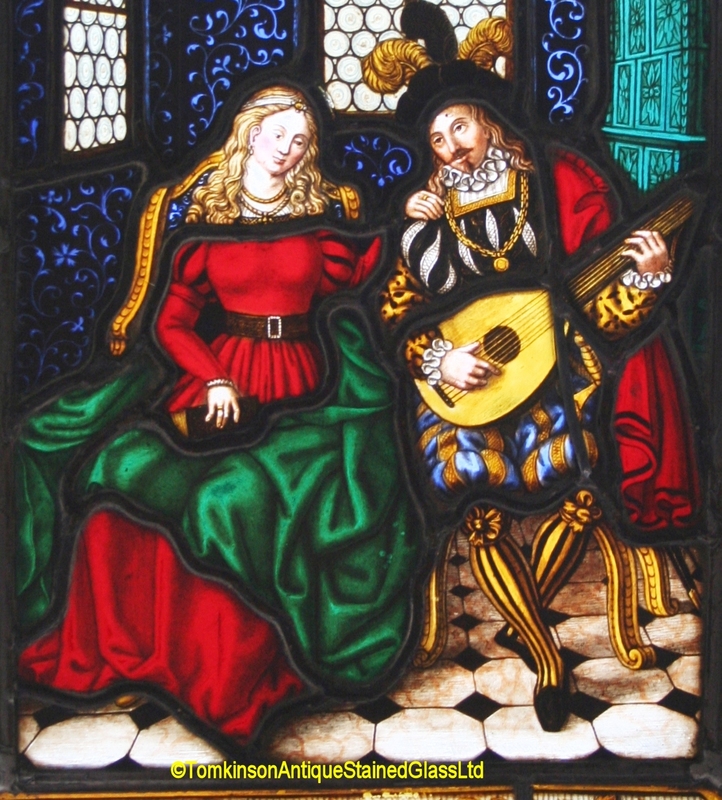 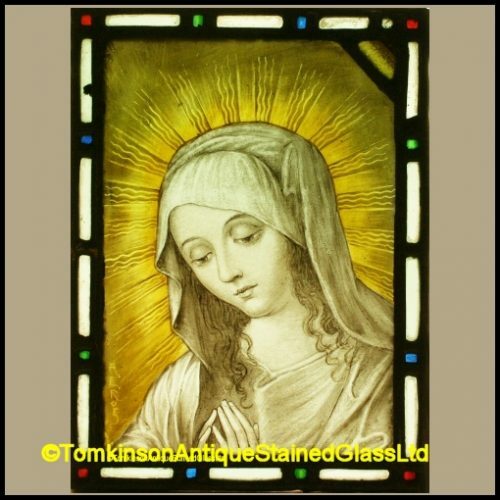 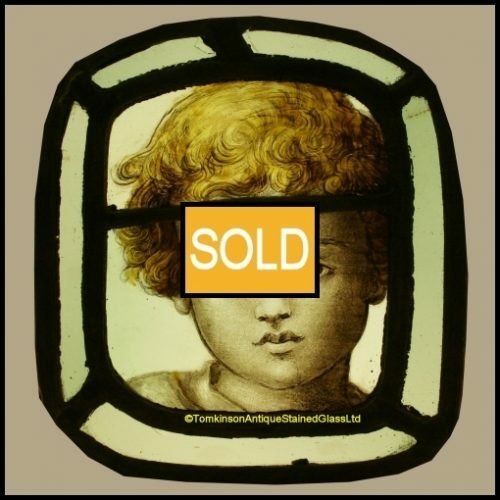 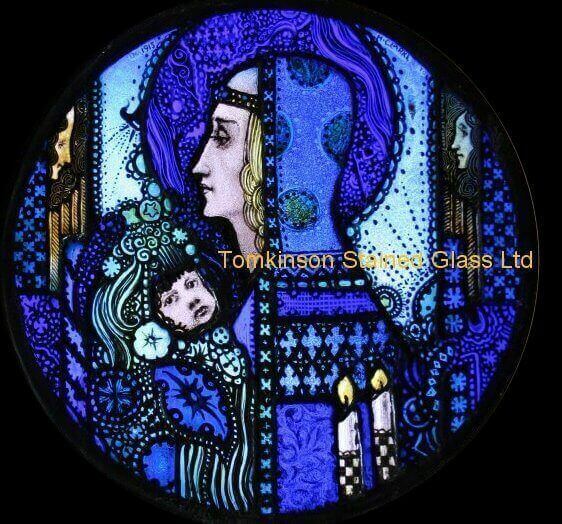 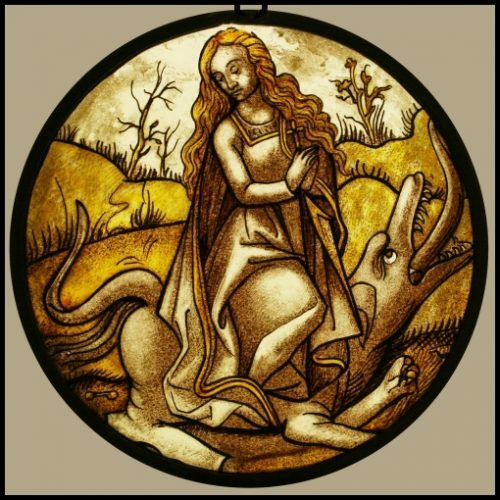 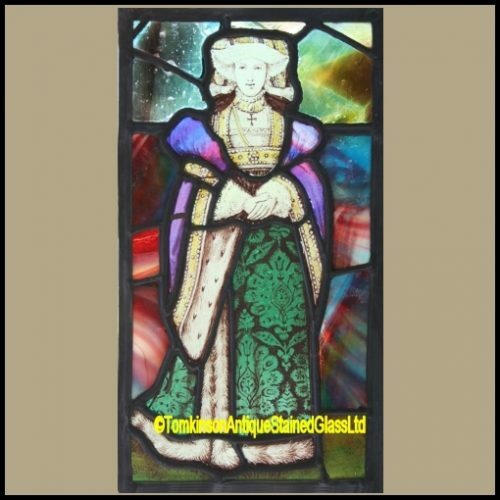 Antique German stained glass panel hand painted depicting a man serenading a lady. 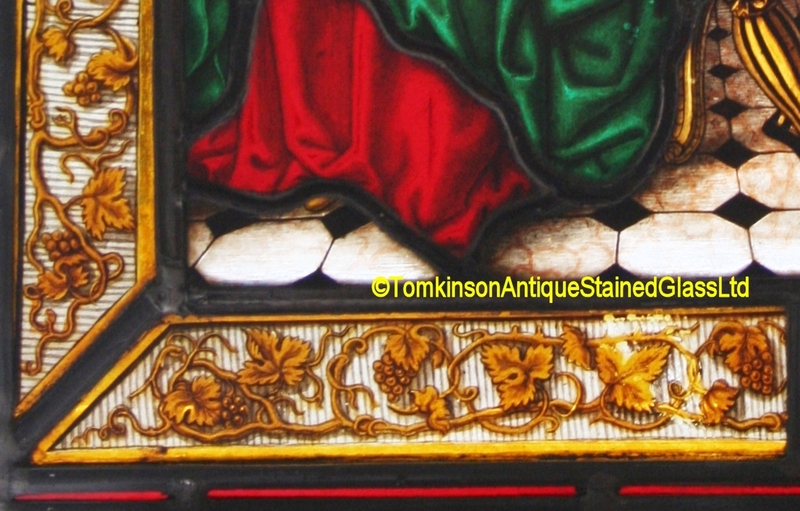 Super quality of painting and with a grape and vine border. 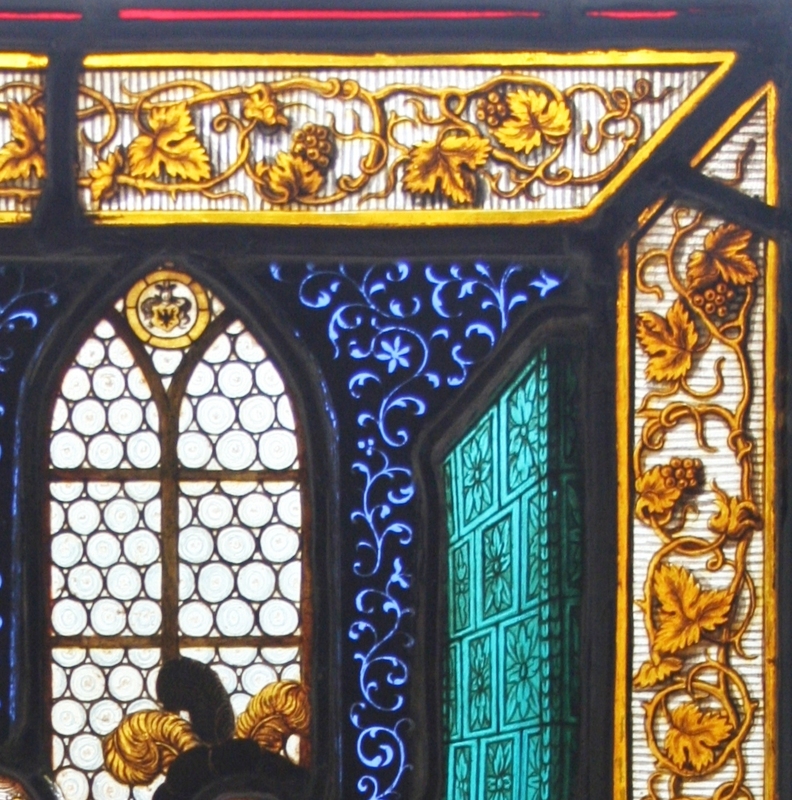 Slight restoration which has kept the panel in original condition.